Looking for peace and tranquillity? Then you've come to the right place! 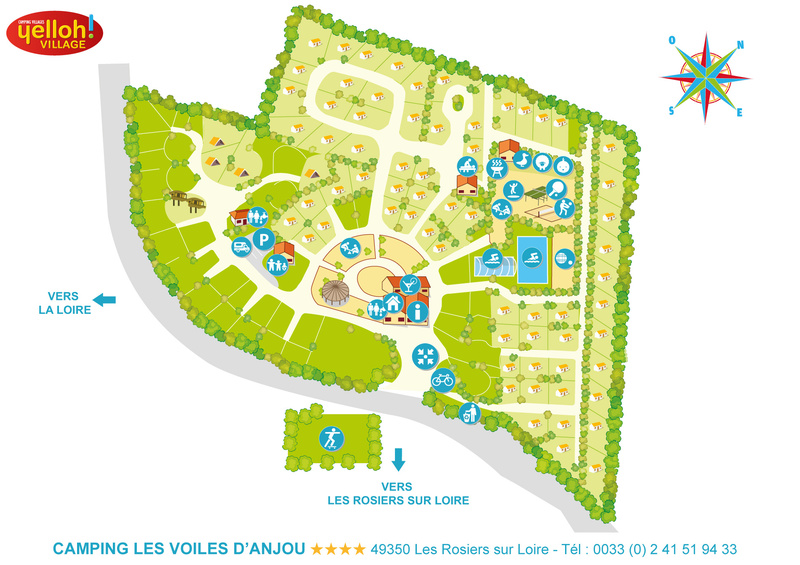 The camping les Voiles d’Anjou ensures that the activities it puts on are not too intrusive. Challenge your campsite neighbours to a game of volleyball, football, tennis, home-ball, table tennis and pétanque or even mini golf. Laughter and complicity will be present in abundance. Or treat yourself to a discovery of the Loire by bike. And the Yelloh! Village les Voiles d’Anjou regularly organises events outside the campsite, including adventure tree-climbing, and canoe trips down the Loire. Really exciting stuff! Try a different way of discovering the Loire! By boat, bike, hot air balloon or via one of the local traditional games. There are so many different ways to discover this region.